Between 90%-95% of legal disputes are settled out of court. Dispute resolution through negotiation is by far the bread and butter of a lawyer’s work. Teams of two are assigned to represent different parties to a legal dispute and given a common set of facts as well as specific confidential information about their client. 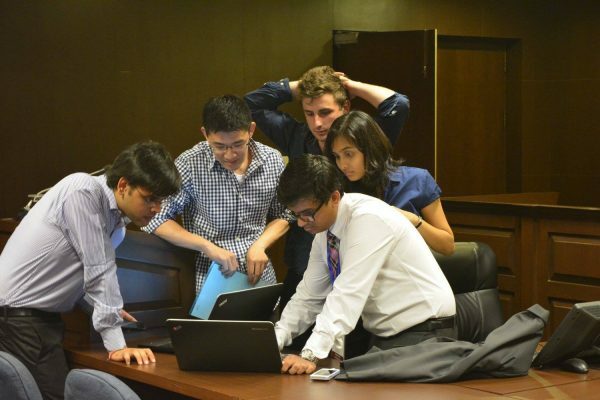 The negotiation session lasts for 40 minutes, after which teams will each have a short reflective period where they can chat with and take questions from the judge. Competitors strive to achieve an outcome that that satisfies the best interests of their respective parties. The judge, in determining a winning team, will examine team work, strategy, and also the ultimate outcome of the negotiation. Click here to view competition rules for Negotiation.